Oxfam's annual Oxjam music festival has announced a series of gigs to take place in a currently secret London Oxfam store at the end of this month. The gigs feature the likes of Fatboy Slim, Brett Anderson, Damon Albarn's DRC project and, err, Charlie from Busted, and mark the beginning of a month of Oxjam music events that run throughout October across the UK, raising money for the charity's work. September 27th: DRC Music album launch feat. Totally Enormous Extinct Dinosaurs, Richard Russell (XL Records), Kwes (Warp Records) and more. Launch event for the Kinshasa One Two album. Give that they're happening in a shop, tickets are obviously seriously limited, and go on sale from today from here. They clock in at £25 for 26th-28th, and £20 for DRC Music on the 29th. The venue will be announced the week before the events. 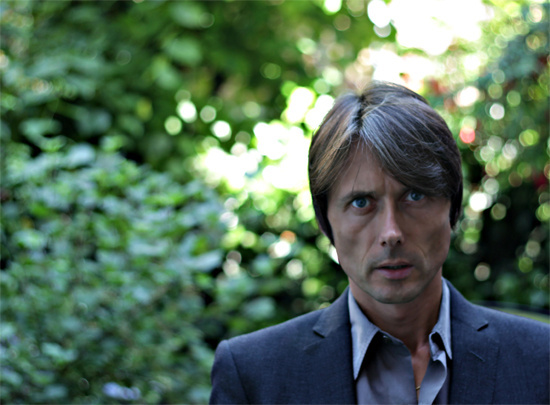 Says Brett Anderson: "In the early nineties, Suede bought most of their clothes in Oxfam shops. It was always somewhere you could find cheap, interesting old things that no-one else had and for a few years it pretty much defined our style, so I feel a massive sense of homecoming with the Oxjam gig. The Oxfam shop is a great British institution that no high street should be without, and the Oxjam gigs are an extension of this blend of philanthropy and off-beat style."